Last week I published the Honeydew-Lemongrass Agua Fresca. Another Agua Fresca is the traditional Horchata. You may know it from Mexican restaurants and food stands – it’s the delicious white cinnamon drink served chilled! 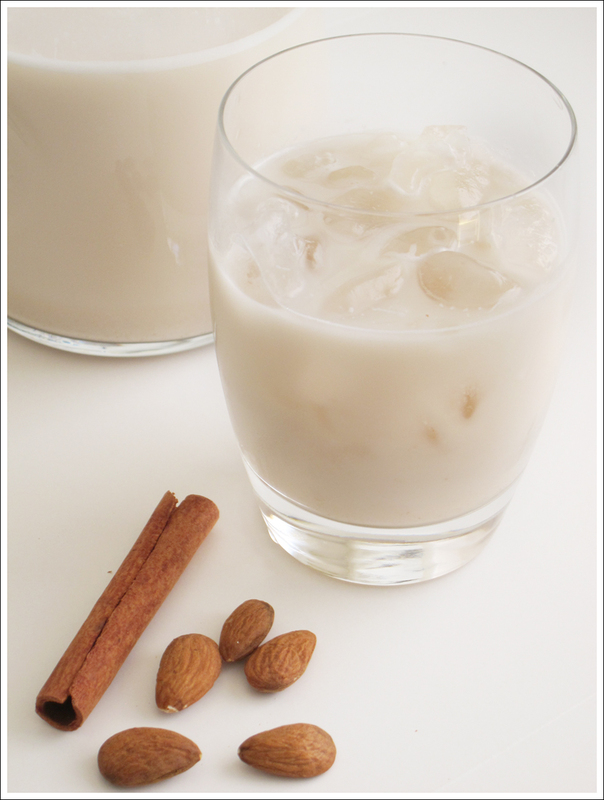 Made with rice, almonds, sugar and cinnamon, it’s a refreshing drink in a totally different way than the fruit frescas. Transfer mixture to a blender, add sugar and blend until finely pureed. Strain mixture through cheesecloth or mesh strainer; discard pulp. Refrigerate until ready to serve. Stir and serve over ice. This entry was posted in Dairy and Soy Free, Drinks, Gluten Free and tagged agua fresca, drink, horchata, latin america, mexican, mexico, raw, rice, summer, sweet, vegan, vegetarian on August 6, 2015 by ebchr.